Getting Back To My Roots: It's time to get back to my roots and focus on things of science and science fiction. So once or twice a week I will have a DID YOU KNOW and a FUN FACT segment. I really think you will enjoy these snipits that explore the past, present, and future of science and science fiction. Did You Know: Forty years ago this month, Skylab -- America's first outpost in space -- was launched. Skylab served as the greatest solar observatory of its time, a microgravity lab, a medical lab, an Earth-observing facility, and, most importantly, a home away from home for its residents. The program also led to new technologies. Special showers, toilets, sleeping bags, exercise equipment and kitchen facilities were designed to function in microgravity. Fun Fact: Not everything was fun and games for Skylab. Some of the challenges they encountered included mechanical failures, an aborted rescue mission, a minor crew mutiny and an unplanned crash landing on Earth. And they had Tang to drink. Anyone remember Tang? 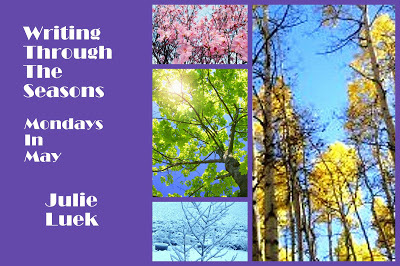 Writing Through The Seasons: This week it's Julie Luek at A Thought Grows. In case you missed here, CLICK HERE for a heart warming post about finding happiness as time races past us. 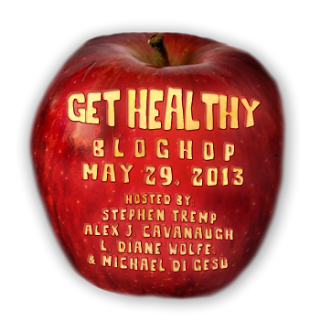 Get Healthy Blogfest: Alex Cavanaugh, L. Diane Wolfe , Michael Di Gesu, and myself have teamed up for a Blog Hop that focuses on health Wednesday May 29th. As writers, parents, lovers of a significant other, employees, and volunteers, we find ourselves overwhelmed with daily battles from this, that, and the other thing. 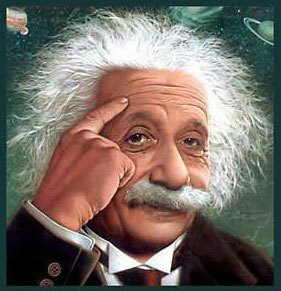 And regardless of how fit we were at one time, time has caught up and overwhelmed many of us in the area of health. Here is a Blog Hop that can help us make 2013 a year that we can help turn the tides! The Objective: Share with everyone something you have done that affected your health in a positive way. You can share an awesome low cal low fat tasty recipe. Post simple tips to lose weight. Or a testimony on what has helped like joining Weight Watchers. Recommend a routine like P90X or Insanity. Or stretches one can do while sitting in their office chair working or writing. I'm sure people have countless great tips and ideas they would love to share. Sing up below! 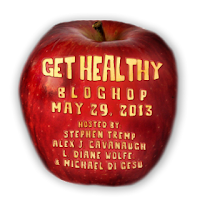 Reminding everyone about the bloghop tomorrow! Yes, I do remember Tang. I'm getting back to my roots as well! More movies and music. And trivia! You know, I don't remember Skylab. I would have been living in England at the time and I am sure it would have been covered, but I don't remember a thing about it. Hi Stephen .. I don't remember Skylab either .. probably out having too much fun! Nor Tang ... but I'll probably join the Get Healthy blog hop .. hopefully the sun will have come out by then! Has it been 40 years since Skylab launched? Wow. I do remember Tang. I didn't realize Skylab had been launched so long ago. 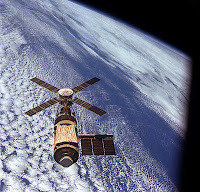 Amazing how many people do not remember or know about Skylab. It was really ground breaking stuff. I just saw a Haiku contest for NASA to take with them on their next mission to Mars. Now wouldn't that be a historical honor to have your Haiku chosen? Thanks for the note on the Writing Through The Seasons-- next week's contributor is Pat Stoltey. She'll have great insights and wisdom to share about writing in retirement. I do remember Tang. I loved it, probably because I'm such a sweet-tooth. A mutiny too? Wow the ringer they sure went through. I love these sort of fact things. 40 years ago, huh? Wow. Amazing. 40 years!!! Why did you have to tell me that? I know what happened. I fell into a wormhole and fell into the future. It hasn't really been forty years in my time. Has it? Wow- I've never even heard of Skylab! GEEK FAIL *sad face* But I do remember TANG and I remember referring to it as the astronaut drink. Thanks for sharing these great facts with us! I'm already signed up for the get healthy blogfest, I'm going over to check out Julie's post now. Your blog hop will be awesome. I remember begging my mother to buy Tang ... and then not liking it. We sure have come a long way in forty years. Just think what the next 10 years hold! I have so many posts to expound on this very topic ready to go! Looking forward to the blogfest.